Dr. Victoria Laor has joined the prestigious team at Central Park Oral Surgery in October of 2016. Dr. Laor is originally from Chicago, where she graduated from University of Illinois at Chicago College of Dentistry at the top of her class. She then completed a one year internship in Oral and Maxillofacial Surgery at Loyola University Medical Center and a four year residency in Oral and Maxillofacial Surgery at Christiana Care Health Systems in Wilmington, Delaware in June 2009. Dr. Victoria Laor had the honor of serving as a Chief Resident in her last year of residency. 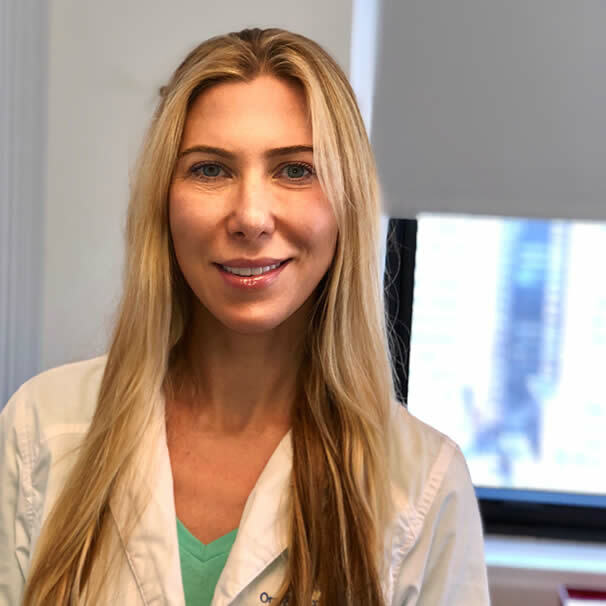 Since moving to New York City, Dr. Laor has worked in private practice and has served as Adjunt Clinical Instructor at NYU/Lutheran hospital and Volunteer Attending at Montefiore Medical Center. Holding hospital positions allow Dr. Laor to maintain her skills in facial reconstruction of traumatic Maxillofacial injuries and manage complicated facial infections. Dr. Laor actively participates in clinical education of Oral Surgery and General Practice Dental residents. Dr. Victoria Laor truly loves her profession and loves taking great care of her patients. Her favorite procedures are removing impacted wisdom teeth and replacing teeth that are no longer serving the patient with implants. Dr. Victoria has extensive training in Implantology and Office Based Anesthesia. Our team of licensed and ACLS and BLS certified staff provide safe and comfortable treatment in our facility with use of Consious Sedation or General Anesthesia. Dr. Victoria Laor is Diplomat of the American Board of Oral and Maxillofacial Surgery. Board certification denotes someone who has made significant achievements beyond the mandatory educational requirements of the specialty. When not in the office, Dr. Laor spends time with her husband and their two little kids, she enjoys traveling to warm places and playing in the sand, cooking and baking. HOW DO I REQUEST AN ORAL SURGERY APPOINTMENT WITH DR. LAOR? To schedule an appointment with Dr. Laor, call Central Park Oral Surgery at our Madison Avenue office at 212-813-0707 or request an appointment online for a personal consultation.